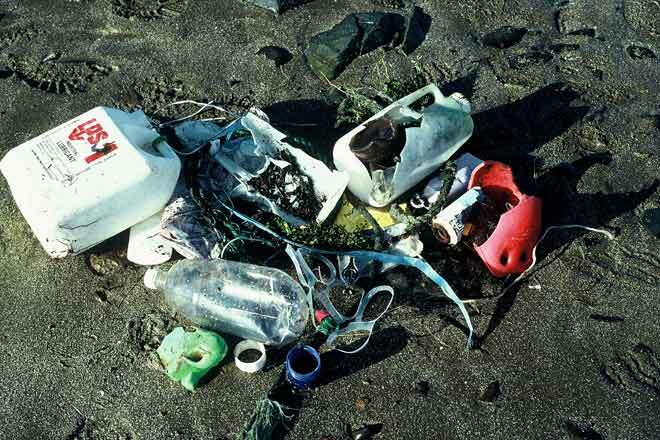 Most plastics take decades or even centuries to decay, and every year tonnes of this floating debris end up on New Zealand’s shores. Some originates on ships plying their way around the coast; other material has come down from the tropics – apparent from the tiny animals and seaweeds growing on it. But a great quantity is also washed down rivers, or dumped in coastal locations. Many coastal communities organise beach clean-ups to deal with the litter.